Posted on December 24, 2008 by Greg C.
I have posted the latest version of AIM MusicLink, version 4.1.0.0.Â If you are an existing AIM MusicLink user, you will get prompted for auto upgrade.Â You can ignore the upgrade, or get it later.Â You can get an upgrade via the Check For Upgrade button via the AIM MusicLink Preference window.Â You will only be prompted once.Â There are some real key feature and bug fixes in this release. AIM MusicLink now supports an option to set your status in “Artist – Song” format and “Song – Artist” format. Fixed a long standing bug with Windows Media Player not reporting the correct song.Â This was due to an issue with the Windows Media Player API passing incorrect data in the MediaChange event.Â I discovered a work around this Microsoft bug. Fixed bug with Uninstaller not unregistering the AIM MusicLink dlls. Here is a screen shot of the new preference panel showing how to change the status format. You can download the latest AIM MusicLink here. To read all about AIM MusicLink or to get questions answered make sure to visit the AIM MusicLink homepage. Posted on July 7, 2008 by Greg C.
Happy Monday everyone!Â I am posting the latest version of AIM MusicLink that contains support for a new media player as well as a couple of fixes for some old bugs.Â In AIM MusicLink 3.0.0.0, I have added support for XM Player version 3.4.2.1+.Â MusicLink now has support for 8 different media players.Â The full list can be found on the AIM MusicLink home page. I have also fixed two bugs that have been around for a while.Â ITunes would report the current song even if the player was paused or stopped.Â MusicLink will only set an ITunes song if the player is playing a song now.Â The other bug that I fixed involved Windows Media Player.Â People were reporting that WMP songs were getting set in their AIM Status even when WMP was not running.Â I have fixed an issue where if the player exits the WMP plugin was reporting the wrong information.Â If WMP crashes, which does happen, MusicLink may still report the incorrect information. Download the latest AIM MusicLink here. 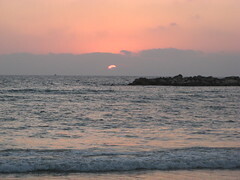 Posted on June 20, 2008 by Greg C.
I am headed back to ICQ tonight for the week, to work with the team in Tel Aviv. I did want to share an update with Zune support in AIM MusicLink. I found on Dan Fernandez’s blog info that Zune does have a basic API, via the ZuneDBApi.dll found in your Zune install folder. The API is a COM based API, but cannot be registered in the COM registry. The interfaces can be viewed in the object viewer in Visual Studio 2005 but I cannot successfully implement the interfaces in MusicLink. I am hoping Microsoft churns out some real documentation for the Zune API, so I can add support for the player in MusicLink. Posted on May 29, 2008 by Greg C.
You can check out the AIM MusicLink Home here. Posted on May 15, 2008 by Greg C.
I want to say thank you to all the people who have downloaded the latest AIM MusicLink version 2.2.0.0 and are using it every day. The uptake for the plugin has been really great, and I have to be honest this release has gone much better than earlier ones. I wanted to address some of the issues people have been having. I have fixed the problem with the Songbird Extension for AIM MusicLink and you can download the extension here. Once you download the extension, please use Songbird to load the sbMusicLink.xpi file. I have spent a few hours testing this version of AIM MusicLink with Windows Media Player 11 in just about every configuration possible and cannot reproduce any of the reports people have. All my WMP plugin does is listen to the current playing song and then writes to the Windows Registry if the player is playing and if so what is the current song. Then AIM MusicLink reads the registry key. These two keys can be found in HKCUSoftwareAIMAIMPluginsAIM MusicLinkWMPCurrentMedia and WMPIsPlaying. If you observe weird behavior with these keys please let me know. The latest WinAMP version has been working for me. Please make sure if you are seeing issues where AIM MusicLink is reporting an incorrect or unexpected result, check the above list and make sure that a player is not accidentally loaded that you think you closed. As always I appreciate all the feedback, and keep it coming so I can make sure AIM MusicLink continues to be the top AIM Plugin. Posted on May 8, 2008 by Greg C.
I am posting a new AIM MusicLink tonight based on feedback from all my users. I have fixed a long standing bug with the MediaMonkey player, so for those of you using MediaMonkey for your media player needs, you will now see status updates. I have also added support to insert a music note in your status message when using AIM MusicLink. Here is an image of the new music note support. AIM MusicLink is an Open AIM plugin, it sets your status and profile message to your current playing song on 7 different media players. I support WinAmp, iTunes, Windows Media Player, Yahoo Jukebox, Songbird, RealPlayer, and MediaMonkey. AIM MusicLink also logs the songs that you play and stores them in a log where you can view what you have been listening to all week. To get started with AIM MusicLink just download the exe, exit AIM, and install AIM MusicLink. Re-start AIM, and listen to your favorite music. If you want to change and of the preferences, they can be found in the Actions menu at the bottom of the AIM buddy list. Download AIM MusicLink version 2.2.0.0 here. Posted on February 5, 2008 by Greg C.